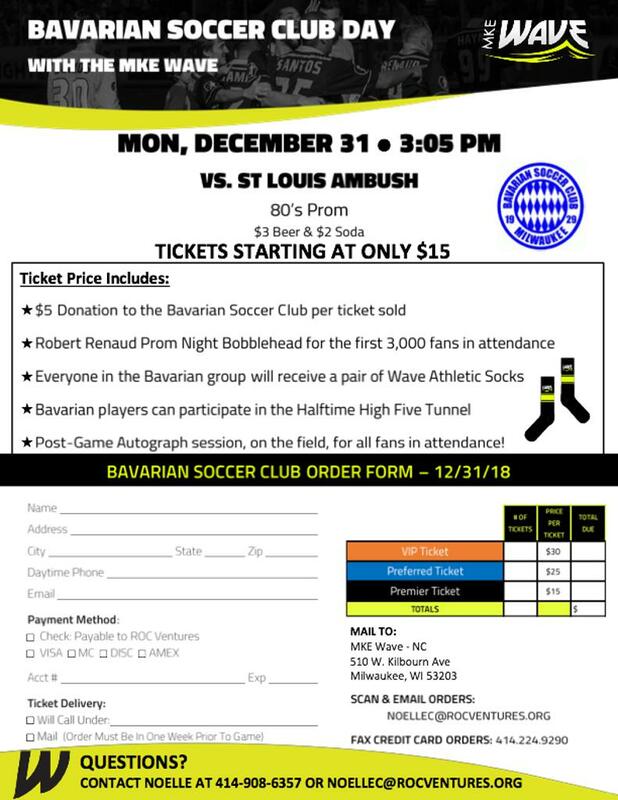 The MKE Wave is hosting Bavarian Soccer Club Day on Monday December 31st at its annual New Year’s Eve game! A $5 donation will go to the club for each ticket sold using the link below! Don’t miss out on 80’s Prom night as well as a bobblehead giveaway for the first 3,000 in attendance! Bavarian players will be able to participate in the halftime high five tunnel as well! Please contact Jill Baum at jillpackman@hotmail.com if you have any additional questions or concerns.